behind her ear, a tattoo of the once whole moon. and pointer as I take hold of her emaciated thigh. as the metal passes through, and then out, and then through again. When she pleads to me, she asks about forgiveness. I look to the man. This was begged for, he said. I watch a horsefly land on the bull’s hind leg. This was begged for, I said. 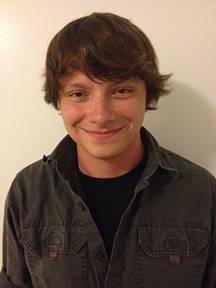 Zachary Riddle is a graduate student at Central Michigan University pursuing his Master’s Degree in Creative Writing. He works as a graduate assistant at CMU’s Writing Center, and acts as the managing editor of the national literary magazine Temenos. His poetry has also appeared in The Blue Route, Temenos, and The Central Review. After graduation, he aspires to teach creative writing and write scripts for television and film—so long as his nightmares don’t get him first. I liked this poem. Very creative thinking.